I’m always amazed by the interest in American-style barbecue from around the world. Students from Europe, Africa, Australia, and Asia often find their way to my class in Los Angeles. Most are backyard heroes but a few come because they are opening BBQ restaurants in their country. They learn about me from the Internet, Youtube, and the TV shows I’ve been on. 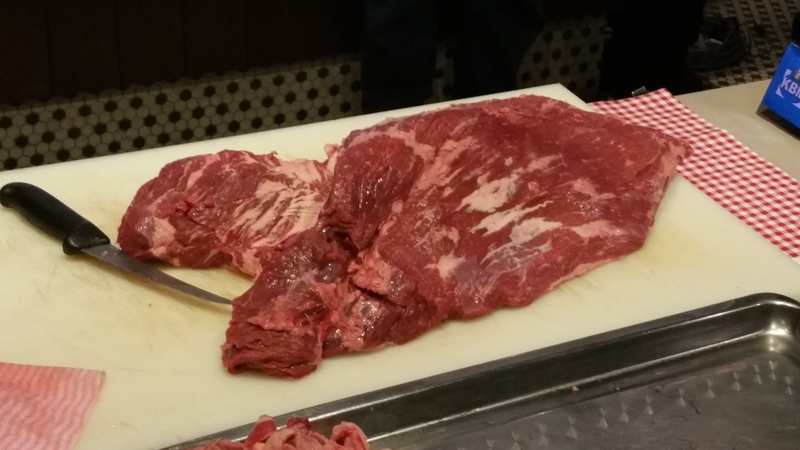 A few months earlier, I received an email from Jessica from Las Vacas Meat Shop inquiring whether I’d like to teach at their meat shop and restaurant. I initially thought from the name that they were in the US. 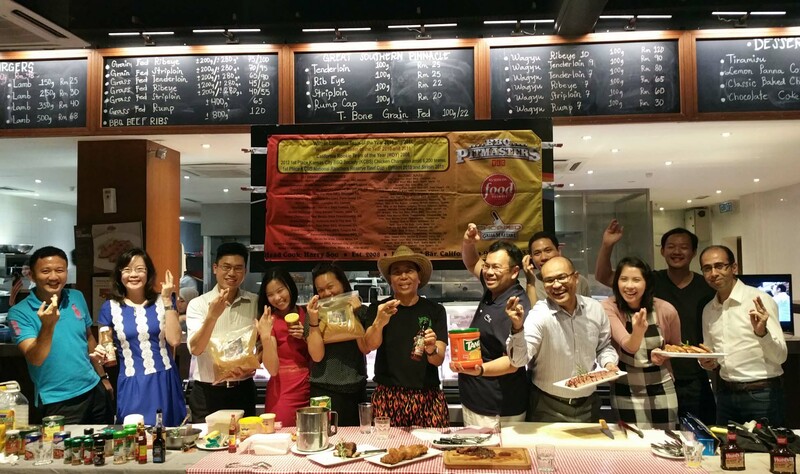 Boy was I surprised to find out that Las Vacas Meat Shop is in Kuala Lumpur, the capital of Malaysia. 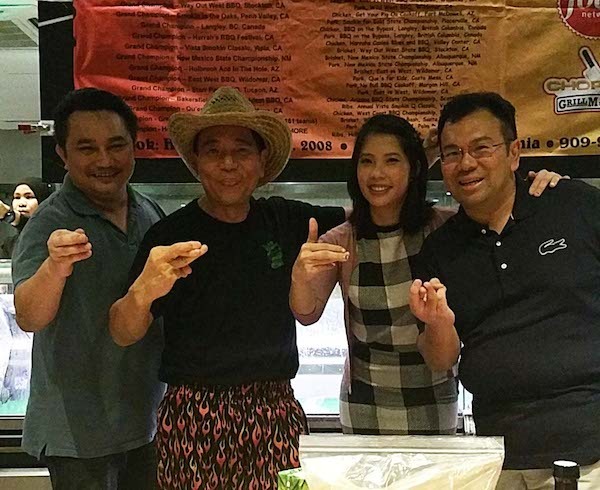 I was born on the island of Penang in Malaysia but had not visited KL since I was a teenager so I jumped at the opportunity to spread some barbecue love, American-style, far from my home in Los Angeles. As you can imagine, American style low and slow barbecue is relatively unknown there so I worked with Jessica and the owner Thariq to figure out the gear and supplies needed for a class. I was ecstatic when I heard the restaurant had Weber smokers, a WSM-18 and WSM-22, both which I’m very comfortable cooking with. My class calls for a lengthy list of ingredients and meats so I emailed my checklist to owner Thariq. 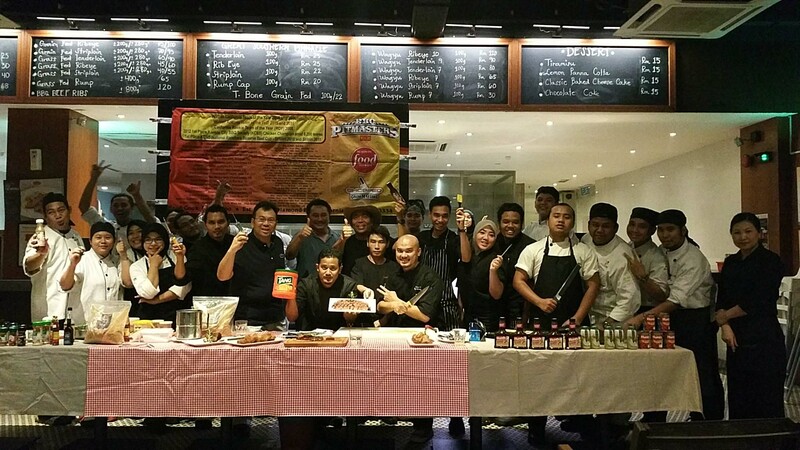 After a few email exchanges and Skype calls, Thariq did an excellent job coordinating with his Executive Chef Azhar to gather all the items needed. Since we were doing an October 20th Tuesday evening after-work hours class from 5:30 pm to 8:30 pm, I pared down my regular 7 hour Saturday program to fit into the time-slot. 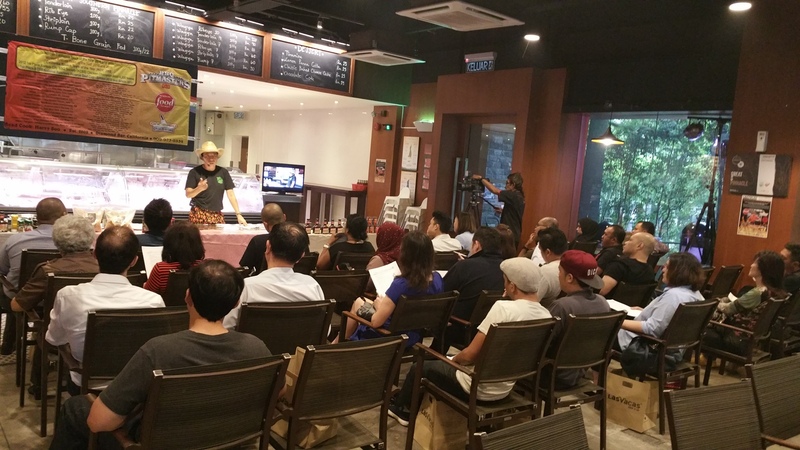 Since Malaysia is a Muslim country, we focused on preparing beef and poultry items that were Halal. I was wondering if I would have a big challenge getting the students warmed up to the concept of low and slow barbecue where the meat is cooked over indirect heat. 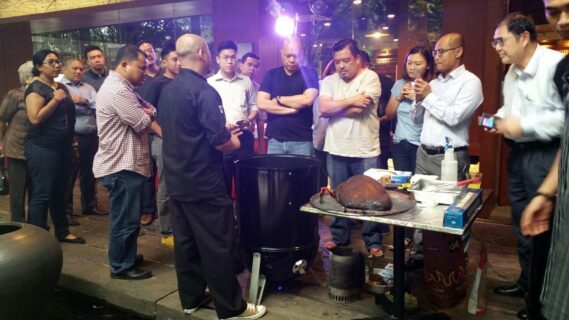 Most of the barbecue in Malaysia is actually grilling directly over high heat (over 300F). For example, there are many types of satay and banana leaf wrapped items that are grilled in that part of the world. I needn’t have to worry because as soon as the class started, everyone seemed be eager to learn our way of cooking low and slow meats. 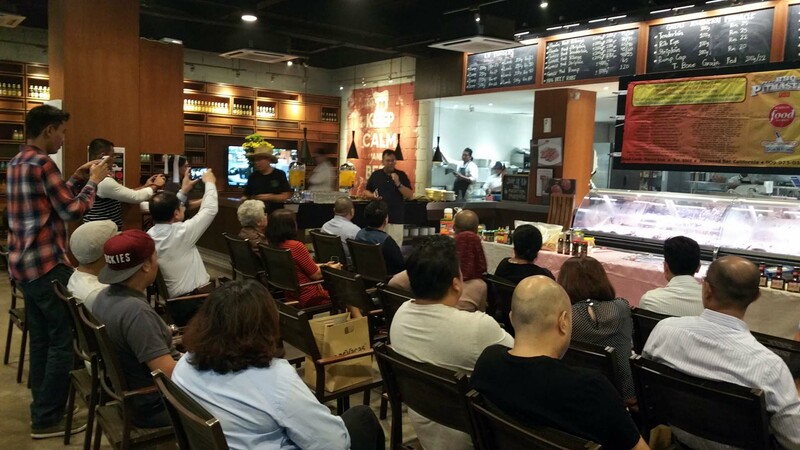 Las Vacas has been in business since 2007 and has expanded into three locations due to the popularity of high-end beef products and the thriving 1.7 million population of cosmopolitan Kuala Lumpur. 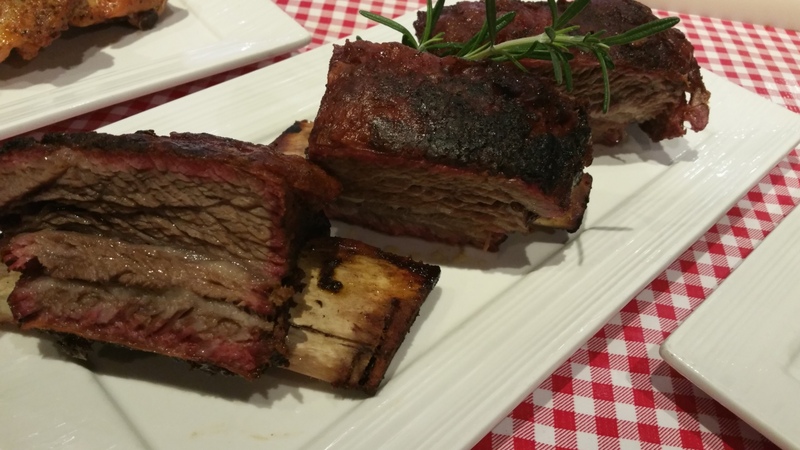 Since it was a meat shop specializing in high-end Australian sourced beef and Wagyu, we narrowed the menu down to Australian prime briskets and beef short ribs. 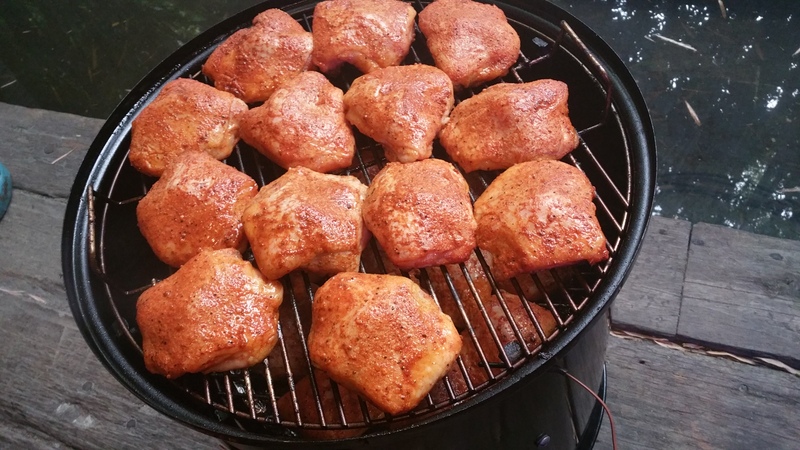 We also added chicken thighs since my SYD barbecued chicken had won multiple national KCBS awards. Chef Azhar wanted to showcase sides from recipes from my food blog so we added the Slapilicious Slaw, Peach Baked Beans, SYD Cornbread, Potato Salad, and Honey Sriracha Wings. Although the class was only about 3 hours followed by dinner, it takes about two days of prep to pull it off smoothly. Day One was spent on the “job walk” to survey the teaching site, reviewing seating, video and PA systems, and equipment and ingredient checks. 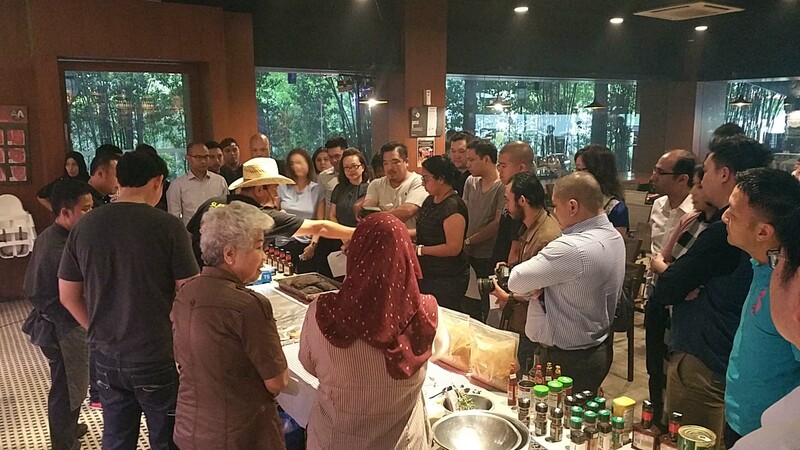 I also worked with Chef Azhar’s excellent crew of a dozen chefs and kitchen staff to show them how to prepare the meats and sides for the dinner following the class. Since I had sent my recipes a few weeks earlier, they practiced cooking them so it would be perfect on class day. I also brought along my secret weapon, my SYD team mate Mark, who cooked with me the first couple of years in 2008. Mark and my other team mate Gary helped me win the season finale of TLC BBQ Pitmasters Season One. Mark’s role in KL was to coach the kitchen staff while I was busy teaching so that the food would be ready to serve when I finished the class. I also recruited my nephew Jason who used to work in KL to be my uber taxi guy to safely transport us from the airport, hotel, and restaurant. Day One was also spent doing media interviews as the local press learned about my visit from the Las Vacas PR department. In addition to interviews, a couple of media outlets also brought their journalists, photographers and videographers to the class. I’ll be sure to share the articles, podcasts, and videos on my SYD media page when they are released. I was like a kid in a stage play in elementary school because my Mother and older sister Sally decide to attend my class. They only know me as an IT nerd and this whole America pitmaster shtick was something they had never seen me do much less teach a class. Admittedly I was a bit nervous, not with my Malaysian students who had never seen American barbecue, but by the presence of my Mom and sis in the audience. I made the class hands-on as much as I could and after the class, my Mom and sis told me how they enjoyed the class and how it was such a different side of me they had not seen before. I was little tired but very happy that I was able to toss a little boomerang of barbecue love in a far off land. Who knows, maybe they’ll invite me back. A big thank you goes out the Las Vacas host and crew and to my helpers and volunteers. Slap Yo Daddy in Malaysia newspaper The Sun “Firing Up The Grill”. It’s finally here! Slap Yo’ Daddy BBQ’s competition Meat Rub is on sale.